A couple of days ago, this Blog received a provocative enquiry from an anonymous person who wants to know if I can confirm that 'Herbalife' will be sponsoring the famous French soccer club, Paris Saint Germain and its new mid-field star, David Beckham? Almost 12 months ago, it was announced that 'Herbalife' had signed a $44 millions deal to extend the organization's existing sponsorship deal with L.A. Galaxy until 2022. It was also announced that a proportion of this 'Herbalife/L.A. 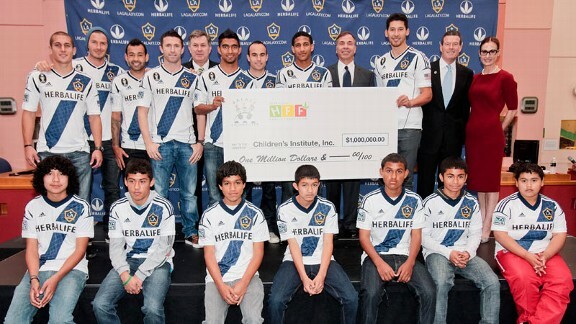 Galaxy' cash was going to be given to children's charity. During the course of my research into 'income opportunity' racketeers, I have discovered that all of them have attempted to prevent, and/or divert, investigation of their hidden criminal activities by steadfastly pretending to be 'philanthropists.' When seen in isolation (by casual observers), the creation of, and the giving of money to, charities can appear to be perfectly lawful activities. However, in the case of numerous gangs of copy-cat 'income opportunity' racketeers ('Amway', 'Herbalife', 'NuSkin', 'Xango', 'Fortune Hi-Tech Marketing', 'Lyoness', 'Forever Living Products,' etc.) when the wider picture is examined, these same activities are revealed as a blatant attempt to obstruct justice, forming part of an overall pattern of ongoing major racketeering activity. 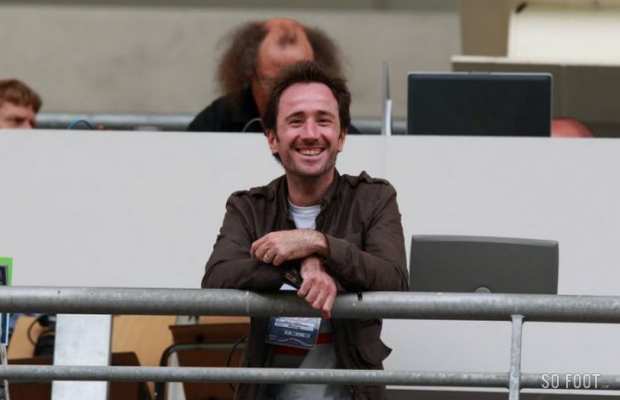 Sports reporter, and PSG specialist, Arnaud Hermant. Interestingly, Monsieur Hermant also reported that, when contacted, 'Herbalife's' head of communications in France, Jean-Christophe Danchaud, claimed to have absolutely no knowledge that his employers are about to sign a € multi-millions sponsorship deal with PSG. In recent weeks, Monsieur Hermant's report of David Beckham and PSG's imminent sponsorship by 'Herbalife,' has been repeated all over the Internet, again without any qualification or irony. Meanwhile, I have yet to receive any confirmation from Monsieur Hermant of exactly who fed him the absurd 'Herbalife' fairy story or why he didn't bother to check its authenticity.